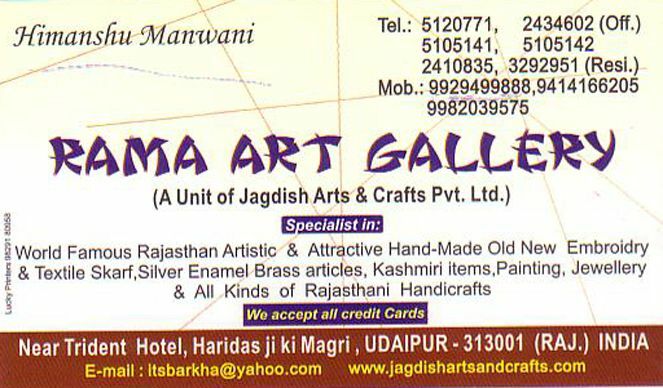 Rama Art Gallery is an unit of Jagdish art & craft pvt. ltd. which came in to exixtance some 50 years back. It has an handson experience in handicraft products manufacturing and selling. Rama art gallery avails you Brass Articles, Cushions Covers, Handmade Bags, Rajasthani Dagger, Table Runners, Wall Hangings, Handicrafts, Wooden Articles and many more in the range.